Simply call us with details of the virus symptoms. 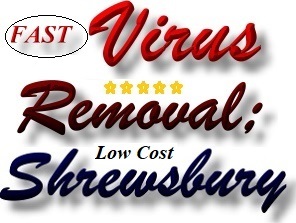 A&A Computer Virus Removal (Shrewsbury) can usually advise on the problem over the phone (the problem may not be caused by a computer virus). If the computer is infected with a virus we will need to work on the computer in house. 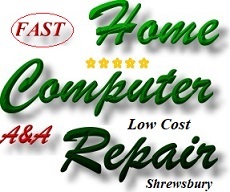 A&A Computer Virus Removal (Shrewsbury) can collect the PC or laptop from the address in Shrewsbury or the client can deliver the system to us. Microsoft - Windows Defender is free Anti Virus which is built into Microsoft Windows 8 and Windows 10. A&A Computers have found and removed viruses on many computers which relied on Windows Defender, or a combination of Windows Defender and low quality or free anti virus software. Under no circumstances should PCs, Laptops, Tablets or Servers rely solely on Microsoft Windows Defender if the computer is connected to a network or to the internet (many modern viruses are downloaded from the internet, they infect a computer and then search the network for other items which they can infect). 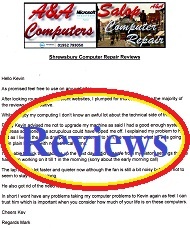 If you have a Windows laptop virus or a Windows PC virus, A&A Computer Repairs can usually kill the virus infections without losing photographs, documents accounts or settings etc. This is possible in over 95% of cases. If the Windows laptop virus or Windows PC virus has destroyed your current Windows installation, A&A Computer Repairs can usually kill the virus, retrieve and save your photographs, documents, accounts etc, reinstall the correct version of Windows (with the correct drivers etc) for your computer and then save your photographs, documents etc back onto your computer. 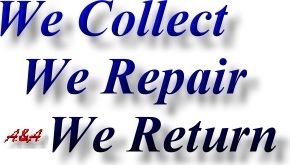 A&A Computer Repairs can also save your documents, photographs etc to CDs or DVDs for nominal charge.